In Bamboo, you can build a Docker image based on the specified Dockerfile. The Dockerfile may be provided as an existing file in the task's working directory or defined in the task configuration. In you job configuration screen, click Add task. Search for the Docker tasks type and select it. (optional) For future reference, add a Task description. (optional) Use the Disable this task checkbox to control whether your task gets run. 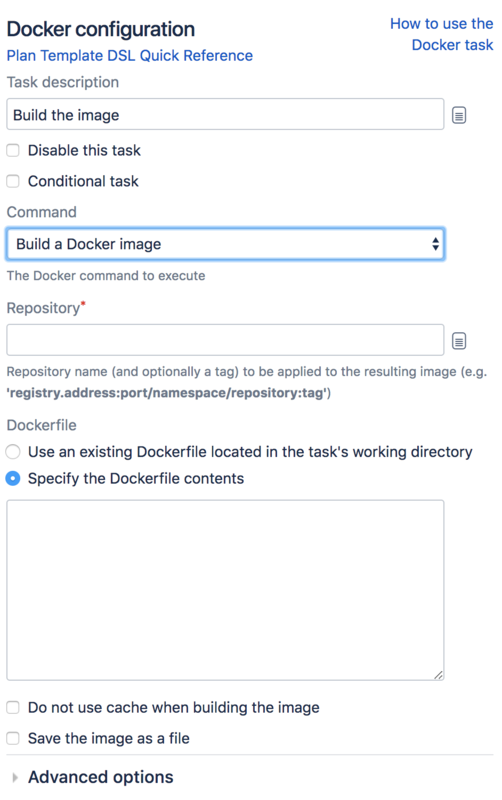 From the Repository drop-down list, choose the Build a Docker image.